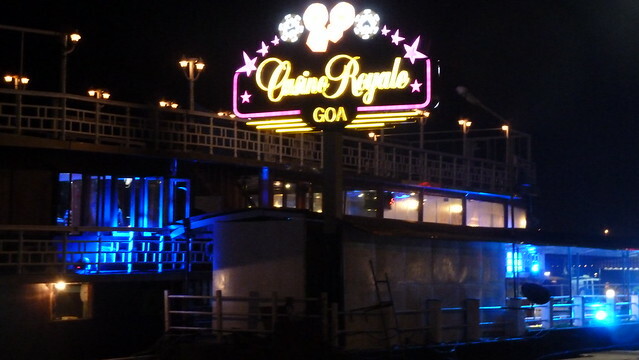 A huge ship anchored to the Mandovi river houses Casino Deltin Royale, Goa's largest and most popular casino. The ship has five decks and three floors are dedicated to gaming, spread over 12,000 square feet. There are about 50 gaming tables and 30 slot machines. There are several packages available for visitors, and they usually include food, alcoholic drinks, entertainment and a flew playing chips. Entry charges start at Rs. 2,500 for adults over 21. This usually includes one time playing chips worth Rs 1000 -1500.